The highlight of this launch is the VXR Hybrid Electric Vehicle (HEV) version. 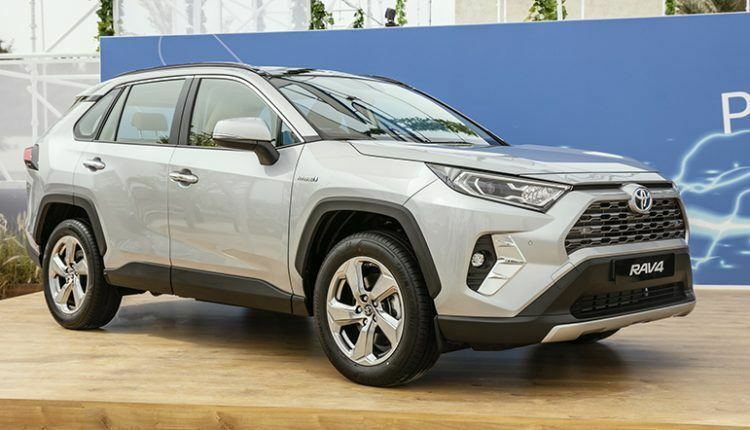 Al Futtaim Toyota has launched the fifth-generation RAV 4 in the UAE featuring a subtle balance of sportiness, comfort, and eco-friendliness. The highlight of this launch is the introduction of Toyota’s first-ever hybrid SUV in the Emirates, the 2019 Toyota RAV4 VXR Hybrid Electric Vehicle (HEV) version, which offers class-leading fuel economy. What sets the 2019 Toyota RAV4 apart is its appeal to those seeking practicality in the cities and beyond. Customers can choose from 4 grades; the two-wheel drive GX grade, 4×4 GXR and the premium 4×4 Adventure version, aimed at those who want to push the boundaries of adventure. The standard RAV 4 carries a 2.5-liter, 4-cylinder petrol engine, supported by an 8-speed automatic transmission. The engine pumps out a horsepower of 203 and 243 Nm of torque for smooth acceleration. The fourth and most economical variant is the VXR Hybrid Electric Vehicle (HEV), which produces 218hp and 221Nm. The power comes from the 2.5-liter petrol engine and the two electric motors. The estimated fuel economy stands at 22.2 Km/L. The best thing about this HEV is its ability to go all-electric at certain speeds. The batteries get charged by the gasoline engine or when the driver brakes/ decelerates. Another special addition in the HEV is E-Four drivetrain built specifically to achieve a perfect combination of all-wheel drive and the best fuel economy. The RAV4’s compact exterior makes it easier to maneuver in congestion. There is a touch of class about each body panel. The aggressive front, strong shoulders, and 19-inch alloy wheels make the SUV ready for challenging journeys. The interior is elegant offering more than 19 new facilities. The safety is ensured through seven airbags including side curtain and knee airbags. The Multi-terrain Select system (accessible in the Adventure grade) helps in tackling difficult terrains. 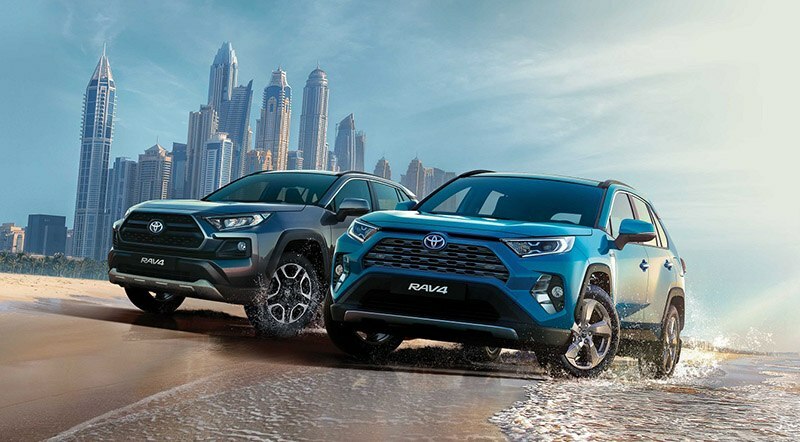 With so many exciting features, the RAV4 is shaking up the SUV segment in the UAE. 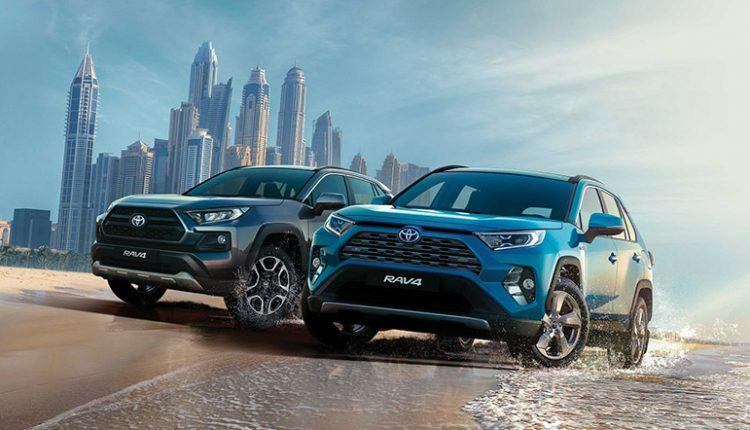 The 2019 Toyota RAV4 will cost AED 99,000 for the 2WD GX version while the AWD GXR and ADV are priced from AED 119,900 and AED 129,900 correspondingly. The most expensive is the VXR HEV wearing a price tag of AED 139,900.